The effects of the ongoing, ten-year Israeli-imposed blockade of Gaza have had a destructive impact on the lives of children and their families. Restricted movement of people and goods has crippled the economy and caused widespread unemployment. 70% of Palestinians in Gaza live in poverty. Palestinians who are blind or visually impaired are at an even worse disadvantage. Seen as a burden to the struggling community, blind or visually impaired persons are often marginalized from society and don’t have access to resources for self-sufficiency. 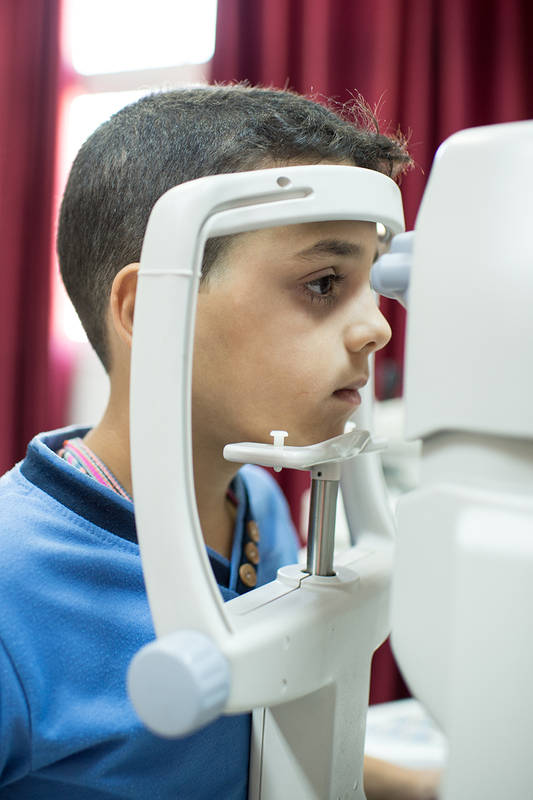 Mercy-USA is supporting an important education project operated by the United Nations Relief and Works Agency for Palestine Refugees (UNRWA) to offer blind or visually impaired children early intervention and subsequent integration into mainstream schools. This special school provides material and technical support to the children to access learning. Because many children at the school have limited mobility, Mercy-USA provided a bridge between school buildings as well as an elevator that makes all parts of the school easily accessible for the children. The children receive eyeglasses to improve their impaired vision if appropriate. They are assisted by a Braillist, and taught to use the Perkins Braille machine as well as special technology to open up new worlds of information previously not available. Children are taught basic life skills and how to successfully navigate the world around them. Along with life skills, the children are kept on grade level with mainstream curriculum. One of the most important components of this school is the new integration program. 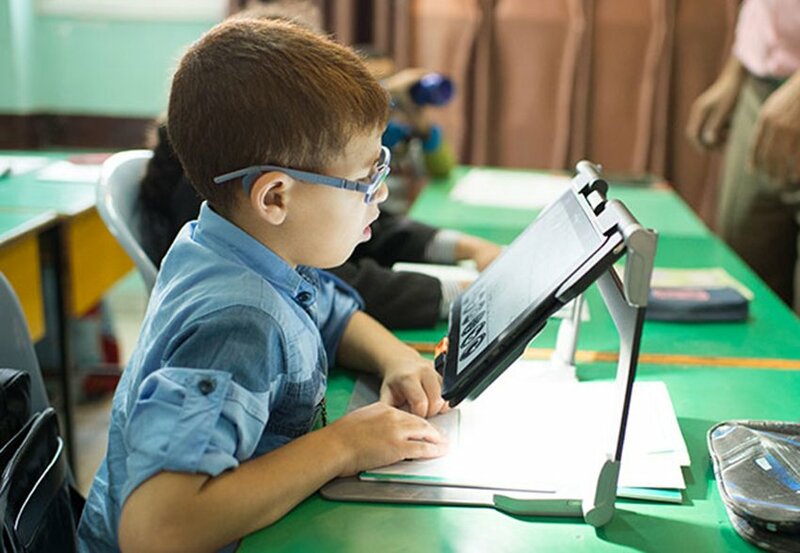 The goal of this program is to integrate the children into mainstream schools by grade 4, allowing the students to become fully engaged members of the community. 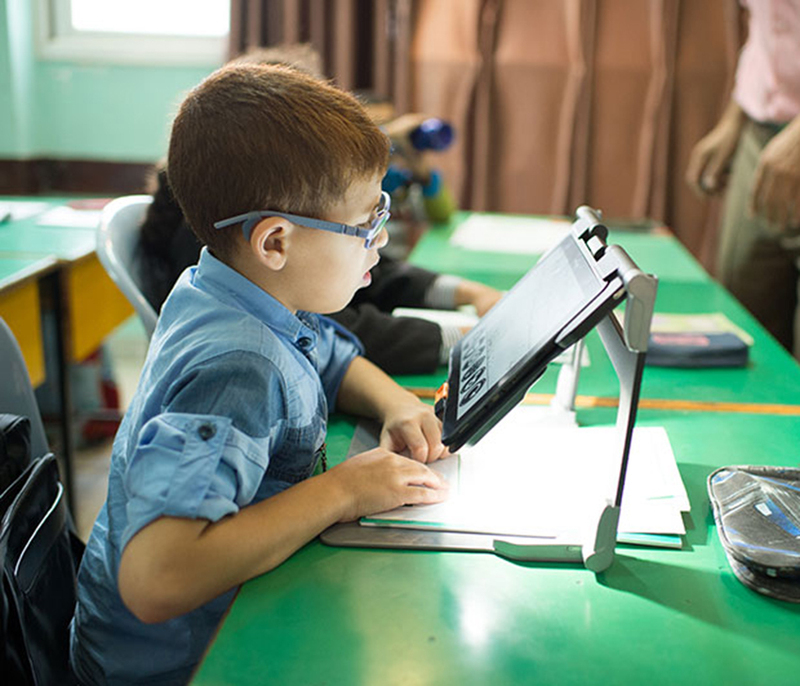 UNRWA teachers are being taught how to accommodate the visually impaired students and are able to facilitate their learning on par with their other sighted students. By fully integrating the children into mainstream schools in Gaza, they not only gain the same educational opportunities as their sighted peers, the greater community learns to value them as equals in the society. Mercy-USA is proud to support this vital project! Please help us continue to offer hope to these beautiful children! UPDATE–January 26, 2018: We can’t tell these blind and visually impaired kids their school in Gaza may have to close because of politics. The Trump Administration has slashed $65 million (more than half of the planned funding) that the USA gives to UNRWA, the United Nations agency that aids Palestinian refugees. Mercy-USA supports this wonderful school in Gaza but in order to for it to remain functioning they will need even more help. Please donate to keep hope alive for these Palestinian children.